Since the advent of Pay per Click (PPC) and Ad Word, their main purpose has been to increase traffic, conversions, and leads for ecommerce businesses. However, over the years, the cost of the aforementioned forms of online advertising has been growing rapidly primarily due to high competition for high-ranking keywords. As a result, many small companies with an online presence are now rethinking their online advertising strategies. 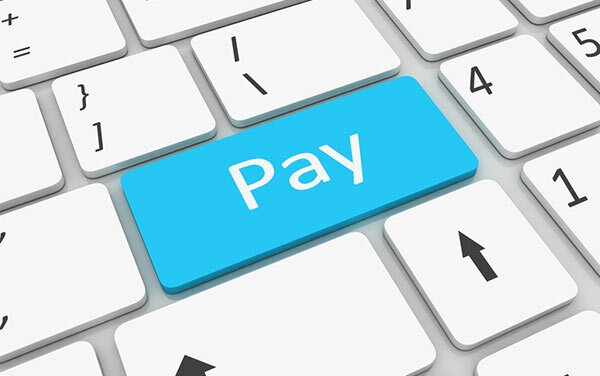 While Pay per Click management remains profitable especially for local companies that operate in narrow business niches, the major goal of small and medium businesses is often to attract as much unpaid organic traffic to their domains as possible, by using a number of strategies including SEO, social media marketing, and content creation. The competition for Ad Words is likely to increase as both old and new entrants on the online scene invest more of their advertising dollars on PPC. As a result, the cost of PPC will go even higher. To avoid costly keyword bidding wars, online marketers should use analytic tools to estimate their maximum costs-per-lead. What’s more, a solid understanding of business niche will help marketers to focus on paid adverts that are most likely to bring conversions. A proliferation of mobile devices in the past three years or so has seen marketers scampering to get a share of this hot market. Mobile pay per click is steadily gaining ground as companies enhance their mobile platforms to cater for this new potential source of leads. As tablets and Smartphones increasingly become commonplace, marketers should develop mobile marketing goals right from the onset. Online marketing goals for desktop and laptop users will not necessarily be successful on the mobile front. Therefore, companies should rethink their marketing strategies while they develop mobile friendly platforms and applications. Today, mobile PPC is available from different search engine providers, and is a useful tool for driving traffic to mobile platforms. Social Media marketing has really come a long way since its inception, and marketers can no longer afford to take its relevance for granted. Integration of social media and PPC is now almost fully possible with social extensions, such as Google+, linking directly with Ad Words. Since there is high competition for keywords especially on major social sites, it is likely to cause advertising prices to increase. For this reason, marketers should monitor their social marketing efforts keenly with a view to creating a positive outcome from their campaigns, and obtain significant returns on investment. Paid adverts are great sources of organic traffic, but content creation remains a stronghold for capturing and converting leads. While pay per click management focuses on generating leads, great content is essential for remaining relevant among search engines. A surefire way of getting better ranking is by creating content around specific keywords that customers are searching for. Great content ranks highly among ways of positively complementing Ad Word campaigns. Of course, it is essential for marketers to quantify their efforts by analyzing the results of their campaigns and PPC expenses. This calls for blending of PPC with web analytical tools, which assist marketers to manage their marketing efforts effectively. Some of the things that reliable software can help to do include track rate of conversion, populate and manage social media sites as well as track online mobile visitors. These handy tools also assist marketers to calculate returns on investment based on their marketing initiatives. The five aforementioned trends are merely a tip of the iceberg in regards to online marketing. Moving into the future, newer trends and opportunities in pay per click management are likely to present themselves. Online marketers should always evaluate these trends according to their business niches and goals to obtain the best returns possible. Why Links Aren’t Effective For My Campaign Anymore? How does SEO Affect the Success of Your Online Business?